Mariana is Brazilian but had from an early age the opportunity to live in different countries such as Argentina, Malaysia, and France, which led her to appreciate traveling and multicultural environments. She graduated with a degree in Business Administration from Fundaceo Getulio Vargas in Sao Paulo, where she was involved with AIESEC, a student organization focused on developing youth leadership. She started her career in the commercial department of Twining’s, a British tea company, where she gained experience working in the United Kingdom. After a couple of years, she transitioned to another sector, seeking to generate positive impact for society. Mariana started working in fundraising for a Brazilian NGO, Instituto Ayrton Senna, committed to improving public education in the country. This experience allowed her to understand more about the social sector and work with different stakeholders in order to build partnerships. It also brought her closer to the theme of education and understanding its importance in the current landscape of Brazil. Mariana truly believes that different sectors can collaborate to achieve greater impact and that businesses can be sustainable and lead transformation at the same time. 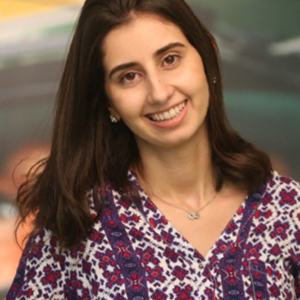 For Mariana, joining Amani is an opportunity to develop both personally and professionally to continue working for social impact and learning from people with different backgrounds who share a common purpose of promoting positive change in society.